BOSSES at Lloyds Banking Group have today announced that the Museum on the Mound is to remain open. The decision to reverse a planned closure for the museum at Bank of Scotland’s HQ on The Mound, its financial education facility in Edinburgh, came after a review. Receiving more than 50,000 visitors a year, the shock decision to close the popular free attraction permanently provoked an outcry from its supporters last month. It had been due to close its doors for the very last time on 29 December, but will now continue to operate. Philip Grant, chair of LBG’s Scottish Executive Committee said the decision reflected views received by the Group following the announcement. “Lloyds Banking Group has today announced that the Museum on the Mound, its financial education facility in Edinburgh, will remain open. The Group received a number of representations that made clear the depth of feeling about the value of the Museum and its education work in particular. We have listened and have responded. 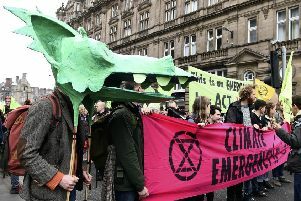 Green councillor Alex Staniforth, who led the campaign to keep the museum open, has welcomed the decision by Lloyds Banking Group to reverse its proposal. “The history of Edinburgh is steeped in its role in financial services right to this day and the museum plays a part in considering that history and the future, in all its forms. The Museum on the Mound was opened 11 years ago by Ian Rankin and is situated within the former headquarters of Bank of Scotland. Former Scottish Labour leader Kezia Dugdale had said earlier this week that the museum’s closure would be a “huge blow” to the Capital. A public petition demanding the museum remain open gathered almost 1,500 signatures.